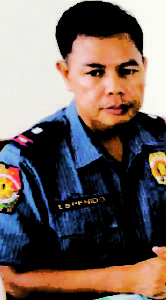 TACLOBAN CITY- The return of controversial police officer Jovie Espenido to the region was confirmed by Chief Supt. Dionardo Carlos, police regional director. Carlos said that he received an order from their national headquarters stating that Espenido would be detailed back to the region. Espenido was assigned as chief of police of Albuera, Leyte where he led the crackdown of illegal drug activity in the said town known to be base of alleged drug lord, Kerwin Espinosa and his late father, former mayor Rolando Espinosa. It was during his stint as mayor of Albuera that the elder Espinosa surrendered and later jailed and killed at the Leyte sub-provincial jail in Baybay City on November 5,2016 reportedly in a shootout with members of the Criminal Investigation and Detection Group. Espenido served as Albuera’s chief of police from July 18,2016 until his relief on December 8 of the same year. He is currently the chief of police of Virac, Catanduanes. “There was an order for the assignment of Espenido to Region 8,” Carlos said. Asked where he will be assigned once Espinosa return to the return, Carlos said that he has no idea at this time where he would be assign. “We will wait for the directive. If it’s within at my level, then I will make a decision where I can place him where he can best serve the region. I will see where he will best fit, looking at his background,” the police regional director said. Asked what could be the reason why he would be reassign back to the region, Chief Supt. Carlos said that as personnel of the Philippine National Police could be assign anywhere in the country. “We can be assigned (anywhere) in the Philippines. There’s nothing wrong there,” Carlos said. Still, as a police officer, Chief Supt. Carlos said that he expect that Espenido would carry out all the police functions and duties expected of him.